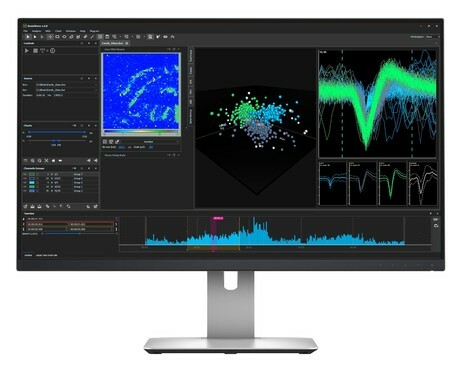 BrainWave 4 from 3Brain is an acquisition and analysis software tool designed to manage high-content electrophysiological data sets. It offers real-time visualisation and the data extraction of key metrics gathered using 3Brain’s microelectrode array (MEA) platforms. The feature-rich software allows users to filter the data, detect and sort spikes in activity, analyse local field potentials (LFPs) and more. Applications include research in drug discovery, brain organoids, brain slices, neuronal networks, animal- and human-derived stem cells and the retina. BrainWave 4 pairs with 3Brain’s CMOS-based high-density multielectrode arrays (CMOS MEAs) to visualise, record and analyse electrophysiological cell activity in real time. 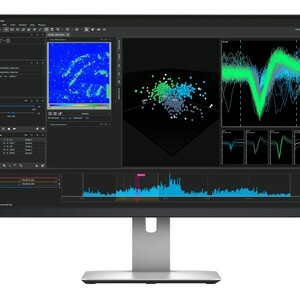 Customisable display tools show this dense data in a user-friendly video interface. Pixels on the colour-coded activity map correspond with the 4096 electrodes, with changes in colour representing activity spikes/voltage traces. Sophisticated algorithms make it possible to observe spatial distribution and activity patterns and detect isolated signals. The wide array of selection tools provides a number of ways to organise and analyse HD electrophysiological data. With the magic wand tool, the software automatically selects and visualises the most active electrodes in a particular region. Manual selection tools (single-channel, lasso, shape selection and brush) meanwhile make it possible to view electrophysiological activity in a small or large area by selecting single or multi channels. BrainWave 4 performs both real-time and offline analyses on the HD electrophysiological data collected on 4096 channels. After spike detection or LFP detection (available online and offline) is configured and run, many calculations are possible. The software offers a host of compression strategies to simplify data management and save space on the user’s hard disk. Data is stored using an HDF5 hierarchical data format. This open-source, cross-platform, large data storage solution is supported by data analysis platforms like Python, Matlab, Scilab, Octave and R. Charts and images generated from raw data can be exported as Microsoft Excel spreadsheets. I am interested in 3Brain BrainWave 4 electrophysiological data analysis software .